Physical activity is good for your overall health and can help reduce the risk of many chronic conditions and diseases. But don't think you have to join a gym or work out for hours a day to get results. Adding even small amounts of moderate activity into your life can go a long way towards improving your health. If you've been relatively sedentary and don't know where to begin, start by walking. 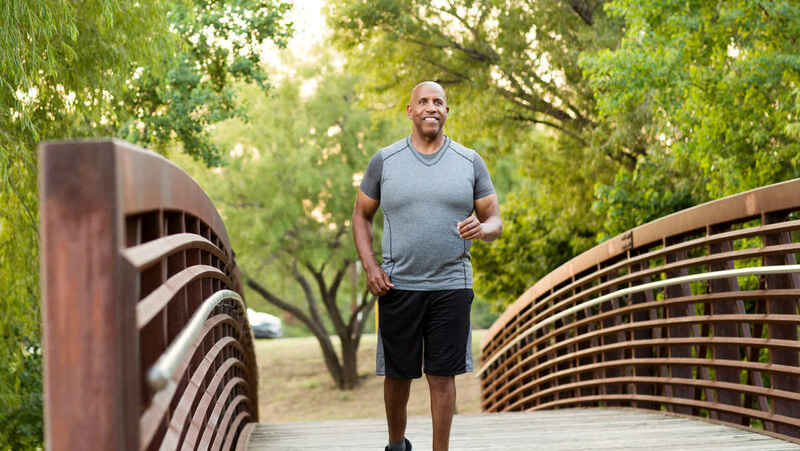 This low-risk physical activity is the perfect way to ease into exercise. It's low-cost, can be done almost anywhere and is easily adapted to any fitness level. Take the first step. Begin with short distances at a pace that feels comfortable to you. Even if you can only walk to the mailbox or around the house, that's a good place to start. Gradually increase the amount of time or distance you walk by 10-20% each week. Skip the all-or-nothing attitude. The American Heart Association recommends adults get 150 minutes or more of exercise weekly. Many people aim to break that up into 30 minute session 5 days a week. Even if you can only fit in a few 10-15 minute walks a day, it all adds up. Maintain good form. Find a natural stride that feels comfortable to you and pay attention to your posture. Keep your head lifted and shoulders relaxed. Swing arms naturally. Mix it up. As you get more comfortable moving, add some variety to your walk. Add intervals of faster walking with slower recovery periods. Find some hills or hit the trails to cover different terrain to help tone muscles and improve balance. Stretch. At the end of your walk, take a few minutes to stretch warmed up muscles to increase your flexibility.